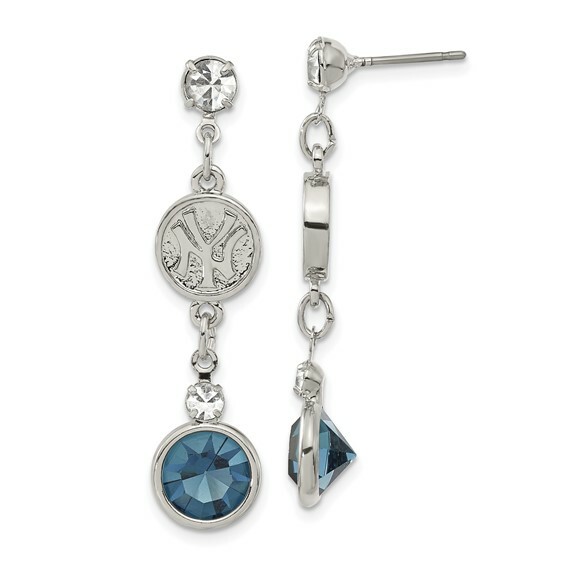 New York Yankees crystal team logo dangle earrings are made of rhodium-plated mixed metal. Earrings length: 1 1/2in. The white crystals are 1/8in and the dark blue crystal and the Yankees logo are 5/16in in diameter. This product is fully licensed and made using intricate metal molds and injected patterns for amazing detail.